A well presented detached three bedroom family house within walking distance of a comprehensive range of local amenities, with garage, off road parking and a well laid out split level rear garden. 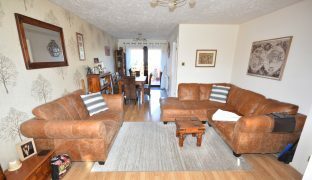 A well presented detached three bedroom family house set within a short walk of a primary school rated by Ofsted as Good, and within walking distance of a comprehensive range of local amenities with great accessibility by both road and rail. 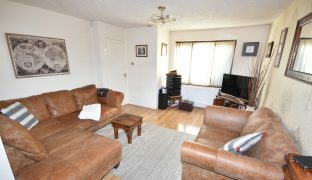 This well maintained home consists of an entrance hall, cloakroom, dual aspect L-shaped lounge/diner, kitchen with built in appliances, three bedrooms and refitted shower room. 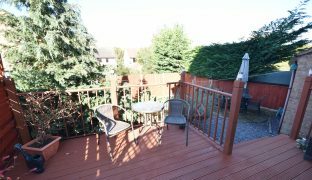 Features include sealed unit double glazing, gas fired central heating, a single garage, off road parking for 2/3 cars and a well laid out, split level rear garden. Entrance Hall: Staircase to first floor, radiator. Cloakroom: Low level w/c, hand basin, radiator, window to front aspect. 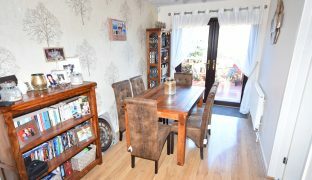 Lounge/Diner: 24’9″ x 12’3″ (max) – L-shaped, dual aspect living room with French doors leading out onto a raised deck. 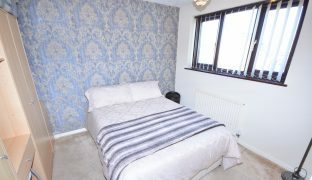 Laminate flooring, two radiators, TV point. 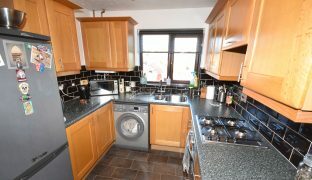 Kitchen: 10’3″ x 8’1″ – Full range of wall and floor mounted units with 1½ sink unit and drainer, built in oven with gas hob and extractor hood. Plumbing for washing machine. Storage cupboard. Landing: Built in airing cupboard, window to side. Bedroom 1: 14’4″ x 9’6″ – Window to front aspect, radiator. 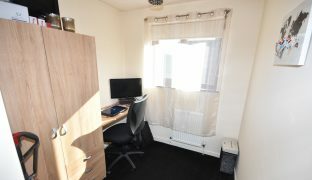 Bedroom 2: 9’10” x 9’8″ – Window to rear, radiator. Bedroom 3: 9’6″ x 6’11” – Window to front aspect, radiator, built in cupboard. 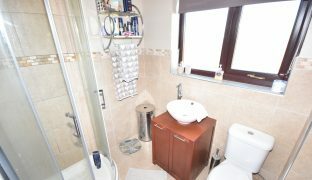 Shower Room: Fully refitted with low level w/c, wash basin with cupboard beneath, corner shower enclosure, partially tiled walls, tiled floor, heated towel rail, window to rear. 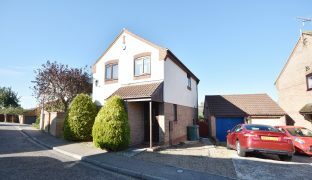 The property is approached via a driveway providing parking for 2/3 cars, leading to a single garage with power, light and an up and over door. A side gate leads to the rear garden which has been creatively landscaped across three tiers with a raised deck, steps down to a circular paved patio enclosed by slate chippings and further steps down to the lawned area enclosed by panel fencing with a variety of mature trees and shrubs. Acle is a large well regarded and well served village set halfway between Norwich and Great Yarmouth, within easy reach of the Norfolk Broads and the coast, with good accessibility by road and rail. 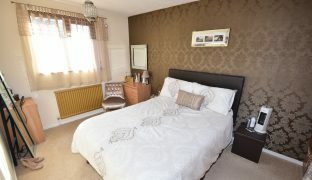 Amenities include a wide variety of shops, schooling for all ages, pubs, restaurants and a train station. Countryside Estate Agents is a trading name of Waterside Estate Agency LLP. Waterside Estate Agency LLP is registered in England. Company Registration Number: OC356282.